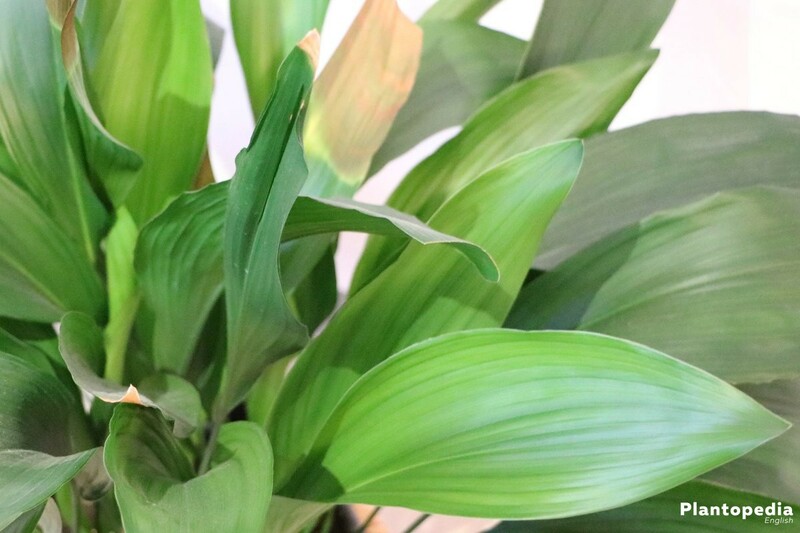 Aspidistra is an attractive and opulent leaf ornamental plant, aspidistra elatior is the only subspecies which is used as an indoor plant. There is no connection to actual palms, however. Its beauty lies in its dark green stalked and shining leaves which it displays openly. 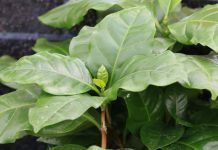 It is well-known for its low standards and easily forgives small mistakes in tending. 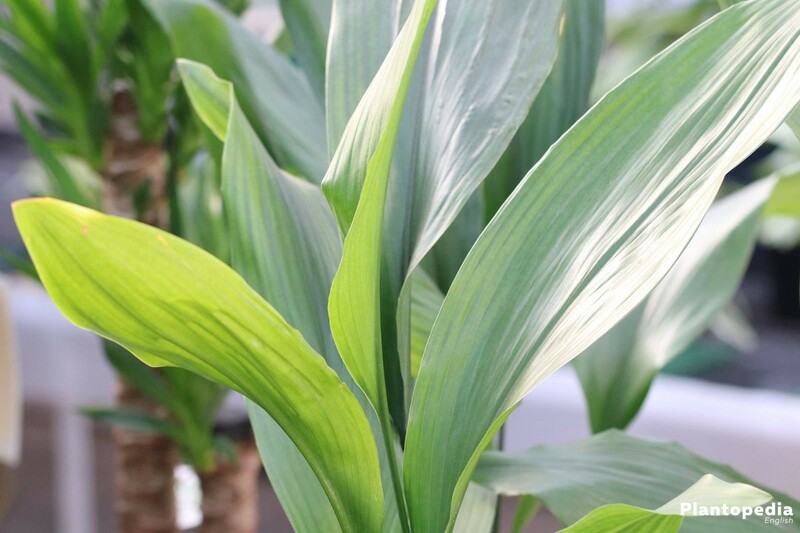 Aspidistra originally comes from the forests of China and Japan. 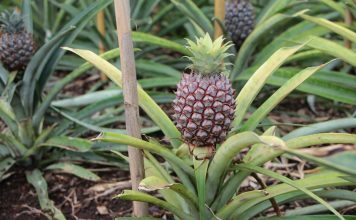 Its genus includes over 100 species, which are mostly cultivated outdoors. 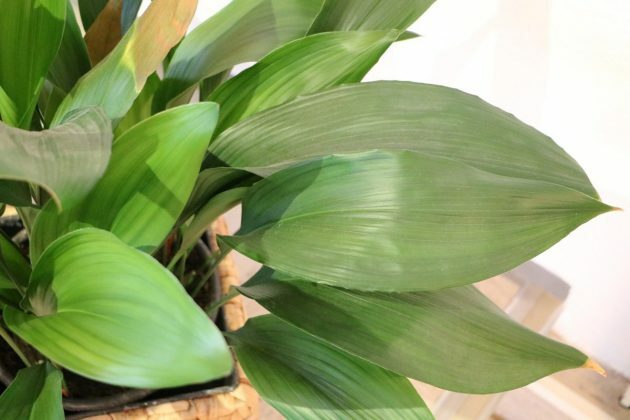 In our part of the world, Aspidistra elatior decorates many offices and living rooms as an ever-green indoor plant. 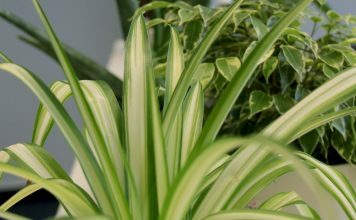 Apart from the green plants, there are also variegated species which have white or cream vertical stripes. With a little luck and according care, old specimens can also produce exotically seeming blossoms. They have a violet – brownish tone and sit closely over the ground. 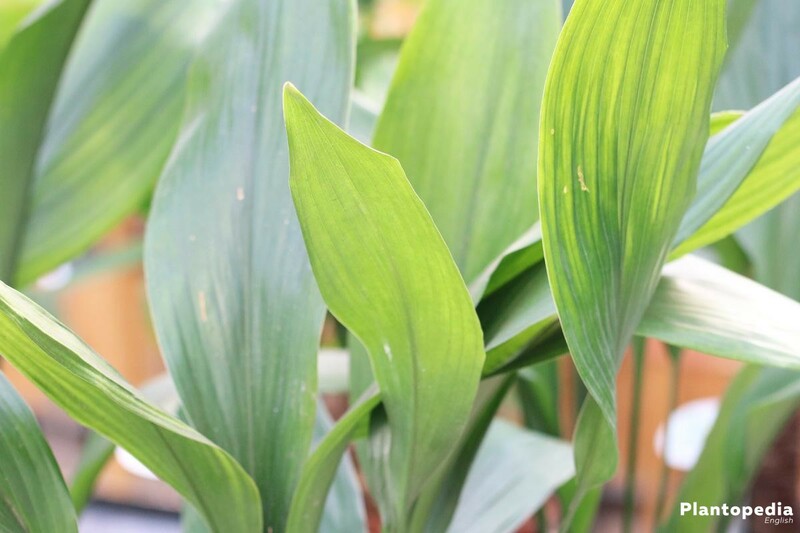 Only very few typed of plants are as modest and undemanding as Aspidistra. 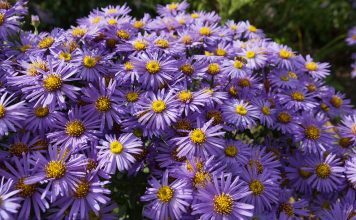 It gets along with locations and conditions other plants would struggle with. 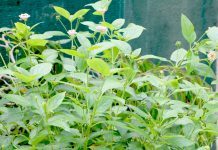 However, the plant is thankful for good care and indicates its health with high growth, lush green leaves and perhaps even blossoms. 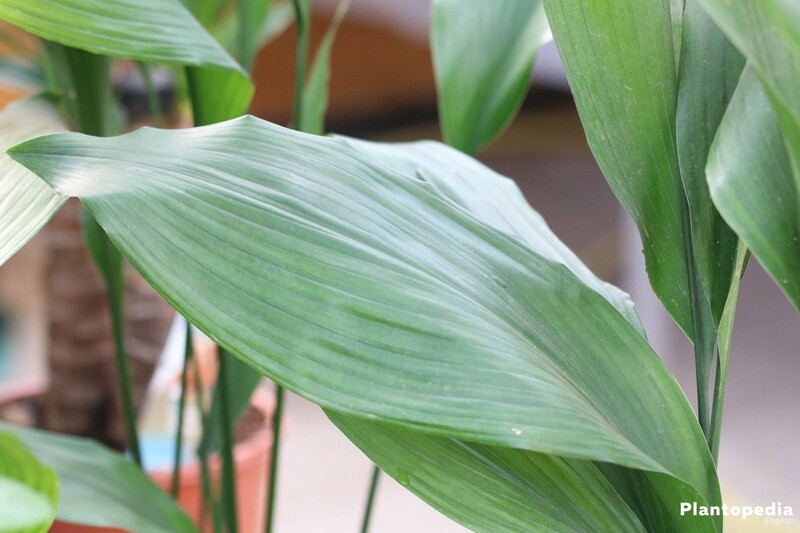 In the past, this plant was often placed in cobbler’s workshops where there is a relatively poor amount of light. This proves that it is pretty easy to suit the needs of a fitting location for this plant. It can be held and displayed in various circumstances of light and temperature. However, it evolves ideally in semi-shady to shady places. 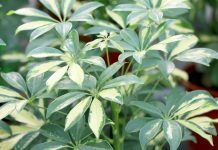 Too sunny a place should be avoided, especially when it comes to the variegated species. Still, especially the variegated specimens need more light than the green ones. 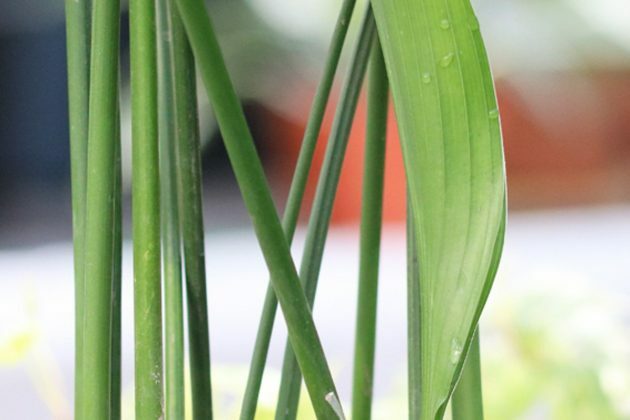 Only that way, the stripes on the leaves can develop. Yet here, too, direct sun can lead to combustions. Concerning temperature, the room can be both cold or warm. 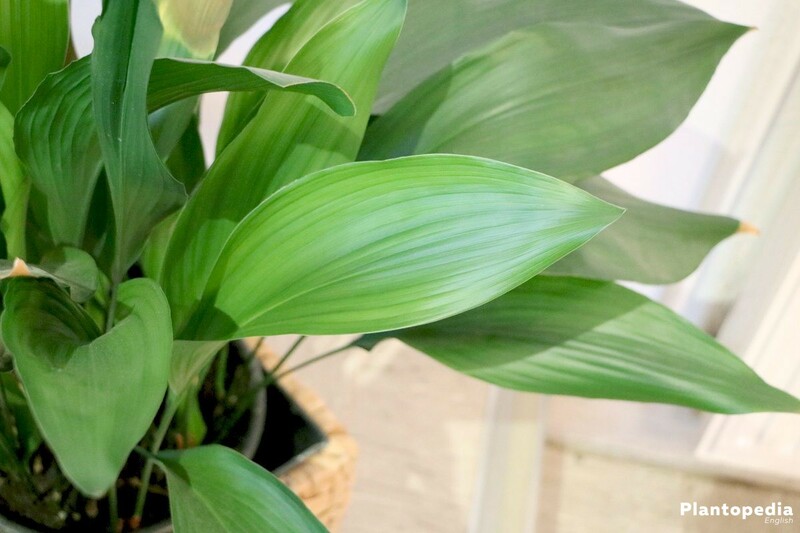 From spring to fall, Aspidistra can also be placed in a protected place in the garden or on the balcony, it should however be relocated to the inside before the first frost. If held outdoors, one should also find a place not protected from rain. 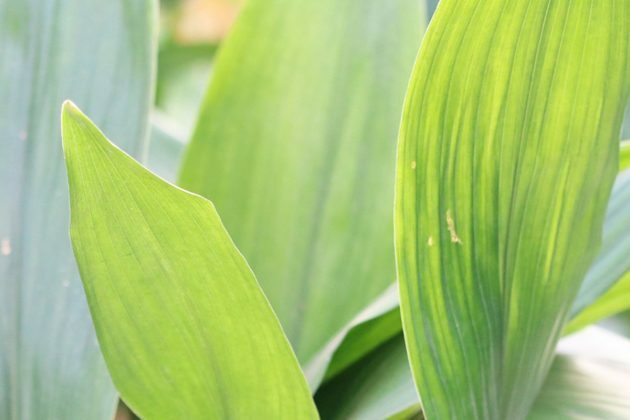 The state of the soil crucially contributed to a healthy, strong growth of the plant. Potting soil on a compost-base with a pH-value between 5.5 and 6.5 are ideally fitted. Generally, the pH-value is displayed on the packaging. To create conditions of growth, one can also create an individual soil. For that matter, one merges four parts of common potting soil, one part of quart sand and 1-2 parts of expanded clay or lava granulate. To check and, if appropriate, correct, one can control the pH-value with a test stripe at the end of the process. It can be lowered by adding turf or leaf mould. 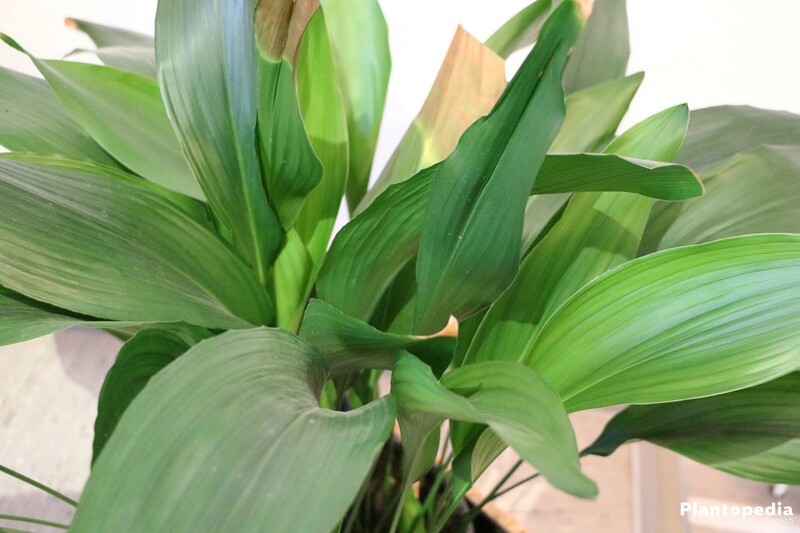 Aspidistra evolves ideally, if it can grow unmolested. However, it has to be repotted from time to time. 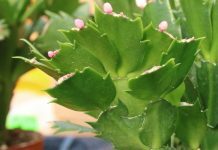 This should be done each four to five years or once the plant has outgrown the pot and the roots grow over the edge of the pot. Aspidistra elatior prefers its soil neither too dry not too moist. For that matter, regular pouring is to be recommended. 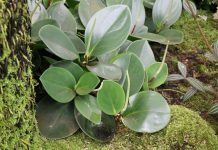 In places with not too much light, which the plant likes best, green plants usually need a little less water. In no way one should pour too much since too much water causes the roots to rot and, in the worst case, kills the plant. For this reason, let the two upper thirds of the soil dry out in between pouring. Using the finger test, you can check whether the soil is still moist. The soil is not to dry out completely either, however. For pouring, use only light water, ideally rain water. If that is not possible, use stale tap water, however, make sure it really is stale. Leftover water in the saucer has to be removed after about half an hour. 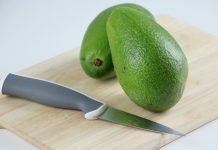 If the room’s air moisture is rather low, it is also recommended to spray the plant with room-temperature water on occasion. Also, the plant is thankful if you wipe the dust off its leaves with a sponge or a moist towel from time to time. It is also possible to just shower it off in order to make the plant be able to breathe again. In order to provide Aspidistra with nutrients, one fertilizes it regularly between April and October. Using a liquid fertilizer fortnightly during the whole period has turned out to do very well. 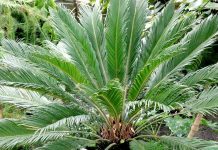 Common palm fertilizers in liquid form are well-fitted if applied over the pouring water. If you are using such a fertilizer, make sure you dose it just as recommended by the manufacturer. Also, it is important not to put the fertilizer on dry soil, otherwise it might cause the roots to burn. Ideally, fertilize just after pouring or damp the soil with clear water before applying the fertilizer. From October on, fertilizing is not necessary any more. 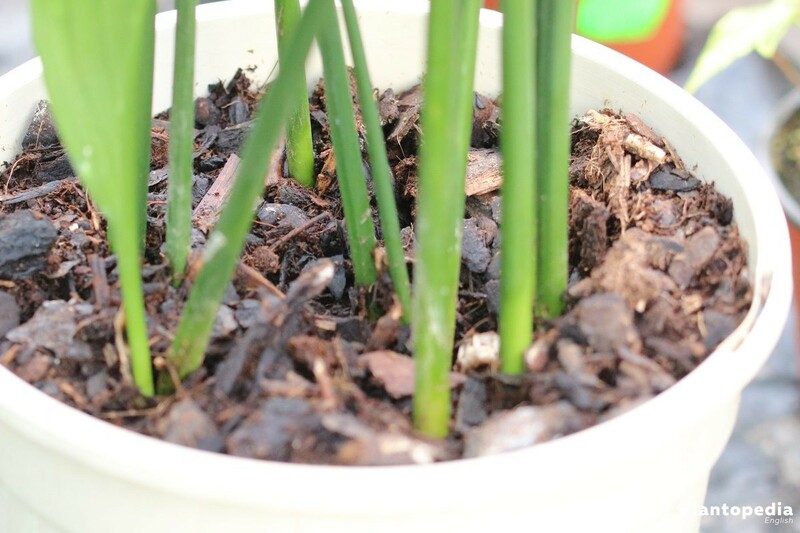 Also, one should not fertilize for at least a year after parting or repotting the plant. 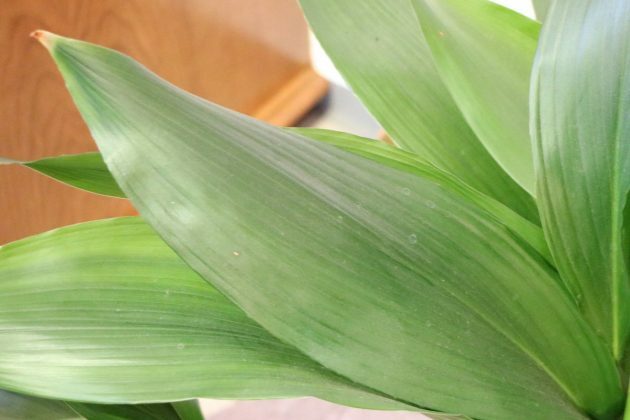 In case you kept Aspidistra elatior outdoors during the summer, it has to be taken inside before the first frost. Here, it rests from November to March. Hibernation inside the house can happen at normal room temperature. Cooler temperatures between eight and ten degrees are also non-problematic. 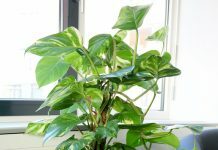 Ideally, it rests in a semi-shady place on a window facing north. A non-heated conservatory, a frost-free garage or a cool staircase are also appropriate places for hibernation. Direct sun should be avoided during winter, too. Also, water provision should be reduced to a minimum as long as the soil does not dry out completely. At low temperatures, the soil does not dry out as quickly, it keeps the moisture for a longer period of time so that the plant tends to rot with a higher likeliness. Fertilizing is to be stopped completely during winter. 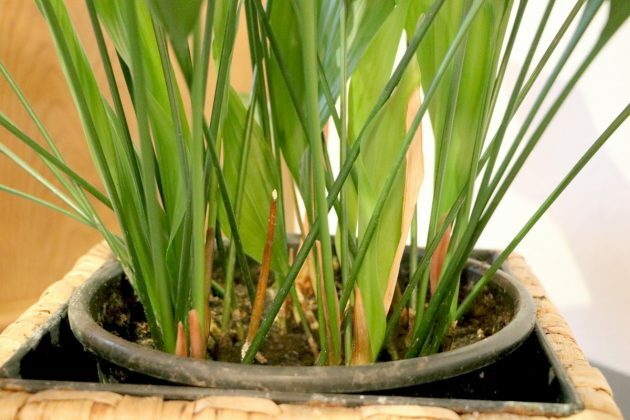 Aspidistra elatior can be increased easily by parting the rhizomes. Seeds are not available to purchase. The blossoms, if present in the first place, also usually hold but one seed which is not even germinable due to lack of pollination. The best time for parting is early spring. If it is to be repotted anyway, use the opportunity to combine both projects. First, you take the plant from the pot and shake off the loose soil. 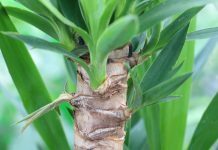 After that, part the rhizome into several parts with a sharp, clean knife by separating the root cords in such a way that every part has at least two leafs or a sleeping eye. The newly made plants can be potted in groups or individually. 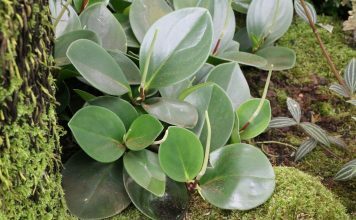 If you choose to plant more than one specimen into a pot, the separate parts grow together and create a lush appearance. The soil should preferably be sour, lean and permeable. After potting, press the soil on and pour. 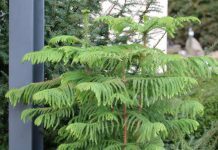 In a semi-shady, draught-free spot, they can be cultivated just like adult plants. However, do not fertilize them just yet since it would interfere with the building of the roots. 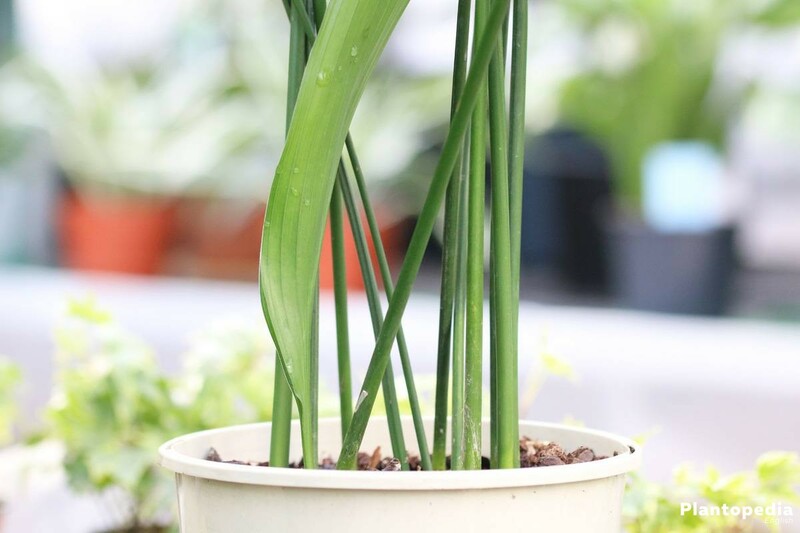 As soon as the young plants have grown suitable roots, repot them into palm soil or an individual soil and tend them accordingly. Leaf blotch can be recognized by brown to black spots of different shape which grow bigger and bigger. In the end, the leaves fall off. Cause are various fungi which infect mostly plants which are already weakened. Leaves that appear to be infected need to be removed. After that, the cutting tool should be disinfected to avoid the disease to spread to other plants. Because there is broad variety of fungi which cause this disease, it is recommended to use broadband fungicidal. Mealy bugs harm the plants by draining juice from them, this slows down their growth and causes death eventually. 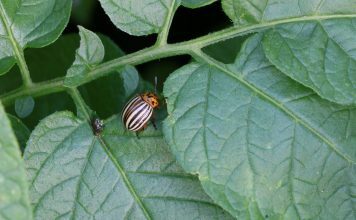 The vermin of a length of about five millimetres can be identified through their white, wool-like web which can cover the whole plant if the infestation is progressed. They are covered with a waxy layer which is designed to keep them secure from being eaten by enemies. Cause of an infestation usually is a bad location or the exposure to dry air produced by a radiator. 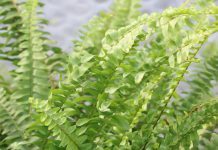 Sometimes it can be introduced by other plants. To fight the vermin, one separates the healthy plants from the infested first of all. After that, the plants should be wiped off with a cloth drained in ethanol, a process which should be repeated for a couple of days in a row. Another possibility is to use a compound containing neem oil, available in a specialist’s shop. 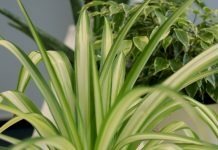 To prevent an infestation in the first place, make sure the location of the plant is appropriate and the air is moist enough, especially during winter. Indicators of an infestation with scale insects is sticky honey dew on the leaves and the small, brownish scales of the scale insects. The leaves cripple, grow brown and fall off. The causes of the infestation are very similar to those of an infestation with mealy bugs. Using ichneumon flies or ladybirds can be sensible, is difficult to realize indoors, however. Since its shell protects the insect, it i sensible to fight them with systematically acting chemicals. Spider mites create the typical webs which form mainly on the leaf axilis and on the pointed edges of the leaves. They, too, mainly show up due to dry air in combination with high temperatures. The leaves of affected plants shimmer silvery and grow yellow to dry out eventually. If you realize an infestation, shower the plant thoroughly in order to wash away the greater part of the vermin. Before that, however, one should cover the bale with foil. Also, using mesostigmata might be sensible.